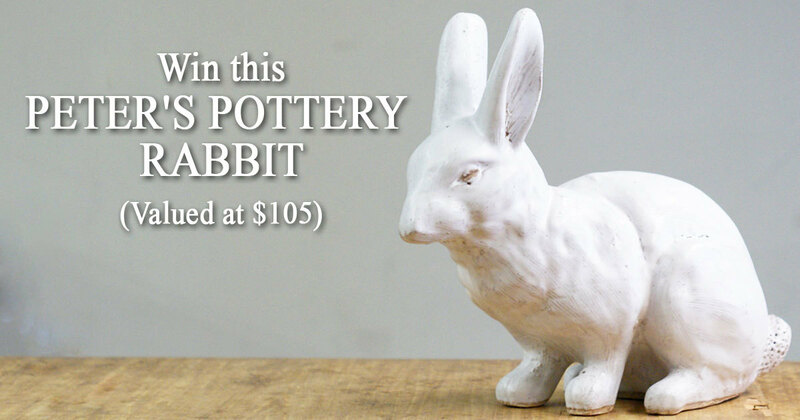 The Mississippi Gift Company is giving away this Peter's Pottery Rabbit valued at $105. Enter to win now and then share with your friends and family. For each friend that enters, you automatically receive an extra entry and extra chances to win. Winner will be announced on March 31, 2018. Share now with your friends and family for extra chances to win.